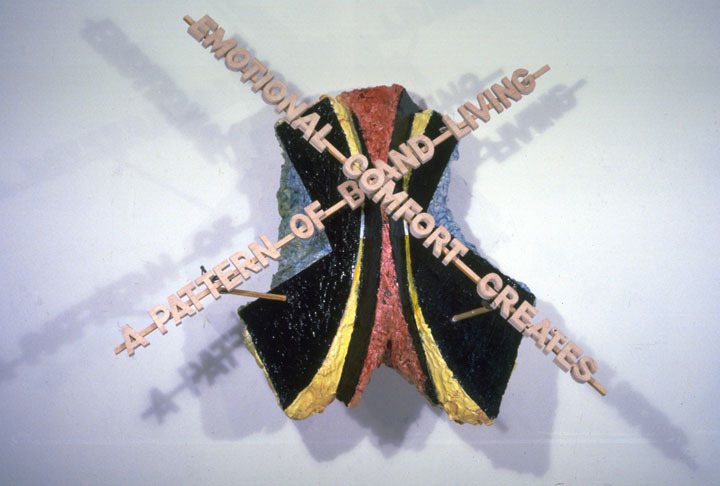 This piece was part of a series using words in sculpture. The phrase, “Emotional Comfort Creates a Pattern of Bland Living” was taken from a self-help book in 1986 to help progress through a MFA degree program at the age of 40. The abstracted crotchlike form was intentionally visceral. H: 4 ft. 4 in. x W: 4 ft. 6 in. x D: 21 in.